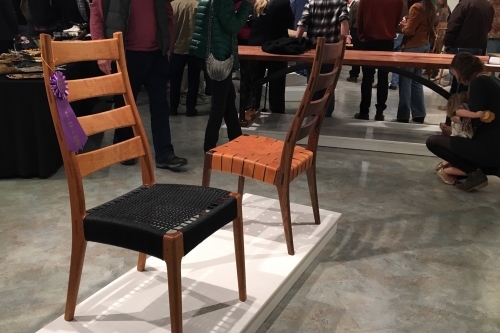 Austin entered his new dining chair (a design in progress) as a beta test and won the Judges' Special Award. In addition, we entered a mahogany porch rocker and won Honorable Mention. We have won a ribbon every time we have entered in this annual show.